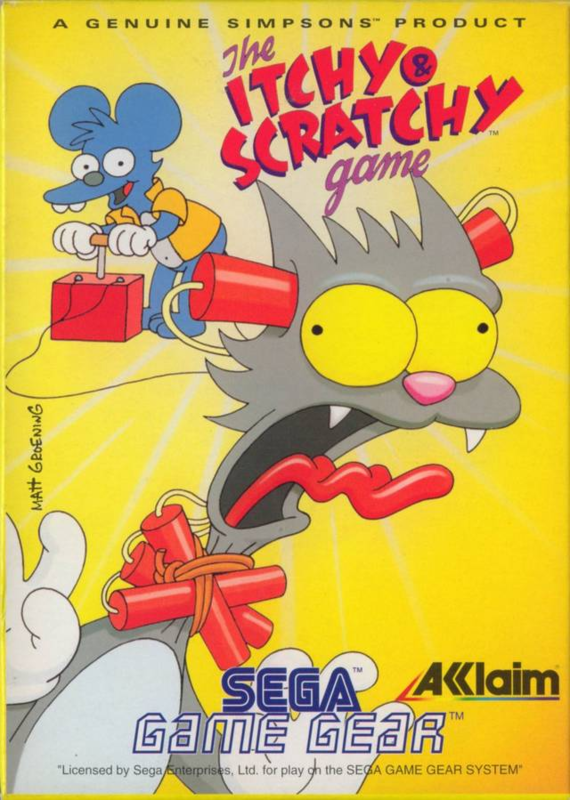 The Itchy & Scratchy Game is a platform video game that was released for Mega Drive, SNES, and Sega Game Gear. The player playing Itchy which is hunting by Scratchy and other things that can damage him. Itchy must handle seven cartoons for wining the game. 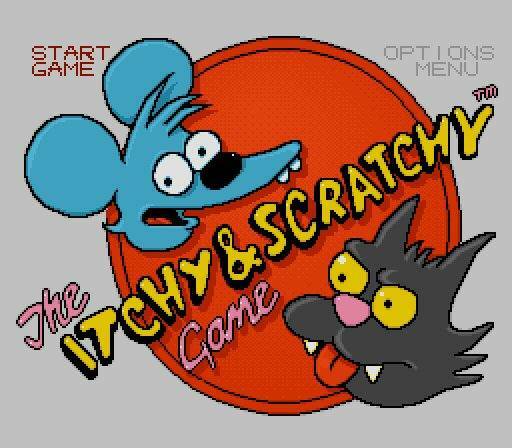 When Scratchy appears in the screen, he disappears for a short time when he is assaulted or have attack Itchy. For complete every level most the user kill Scratchy in a boss fight, to get there must Itchy made so Scratchy lose a life before he kill Itchy. Both Itchy and Scratchy begin each cartoon with a mallet. In every level can the two characters pick up more weapons. Itchy can only carry one weapon in addition to his mallet at the time. The game has received very negative reviews, Game Players rated the SNES version 35/100, saying "Gameplay suffers from extensive repetition and poor control and, despite the large number of weapons included in the game, there are too few opportunities to pick them up. For true Simpsons fans, the Itchy and Scratchy level in Bart's Nightmare is still the best place to look for this duo." The GamePro magazine rated it 40, saying "The control is the worst part. In a game of jumping and hitting, the lack of jumping attacks and the inaccurate weapons make you itch for a different game." 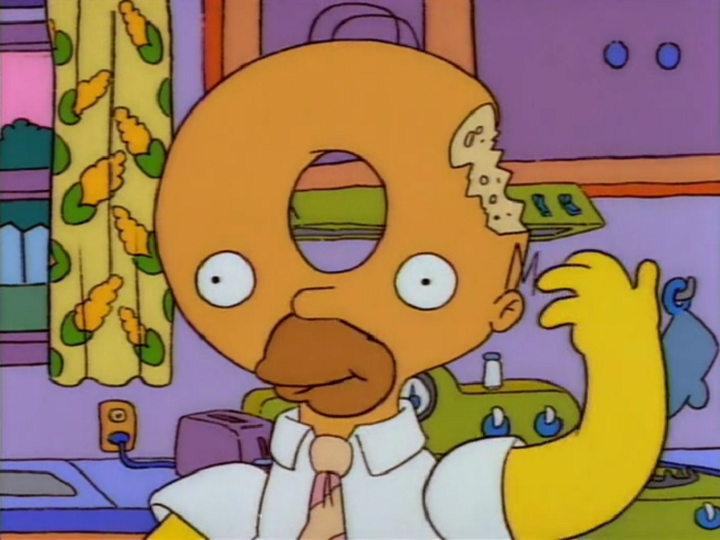 Entertainment Weekly magazine rated it a "C", saying "There's a reason Itchy & Scratchy cartoons rarely occupy more than 30 seconds of any Simpsons episode: stretch the concept to the full half hour, and the ratings would plummet. It's the same for videogames. While Itchy and Scratchy appeared in a hilarious cameo on the Super NES cartridge Bart's Nightmare, here they duke it out in an interminable, multistage whackfest." Title screen of the game. Modified on April 3, 2016, at 20:42.